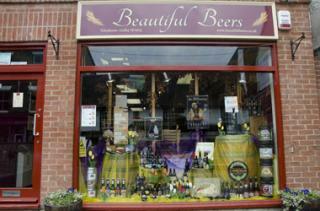 On Friday 18th March at 8pm discover a range of new beers at Beautiful Beers. On this tasting session, you'll explore beers with great character and taste that are a little different from the 'run of the mill' beers. Mostly from very small breweries using a variety of ingredients resulting in interesting and complex beers. You will discover flavours in beer you perhaps thought were not possible. A great way to try new and exciting beers from the world's top breweries. The session will take approximately two and a half hours and will include the beers above for tasting, bread, cheese, snacks and water. In addition, there's a 10% discount on any purchases that evening. Tickets are £19.95 per person and bookings and payments can be taken by telephone or in person at the shop.